Solid wood construction gives this Two-Drawer Nightstand from the Hillary Collection a sturdy base for a lamp and alarm clock. 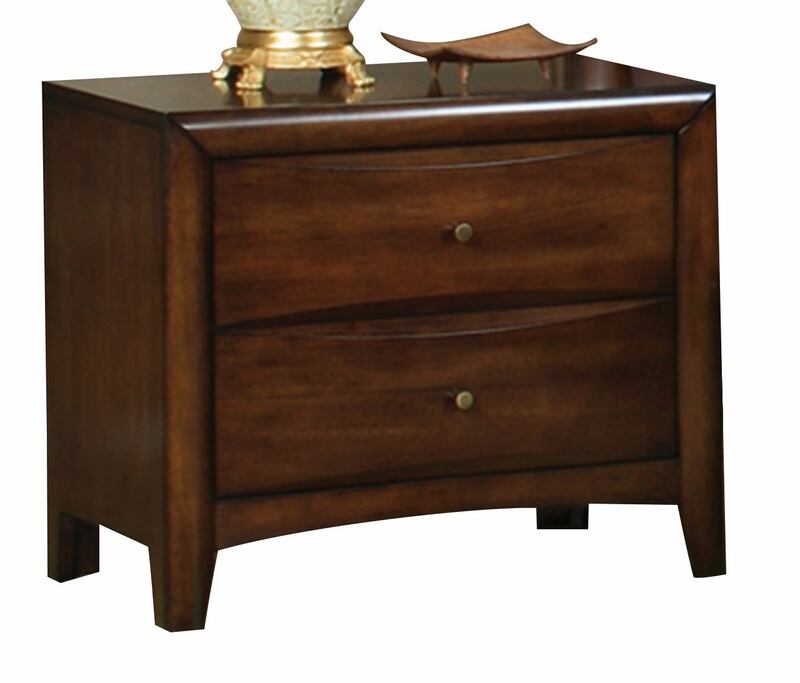 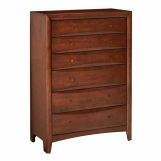 The light coffee finish to this nightstand offers a warm addition to your bedroom. 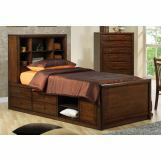 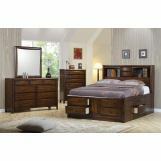 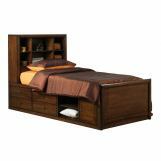 Beveled drawers and brushed nickel hardware make this transitional piece perfect for bedrooms of children to adults.